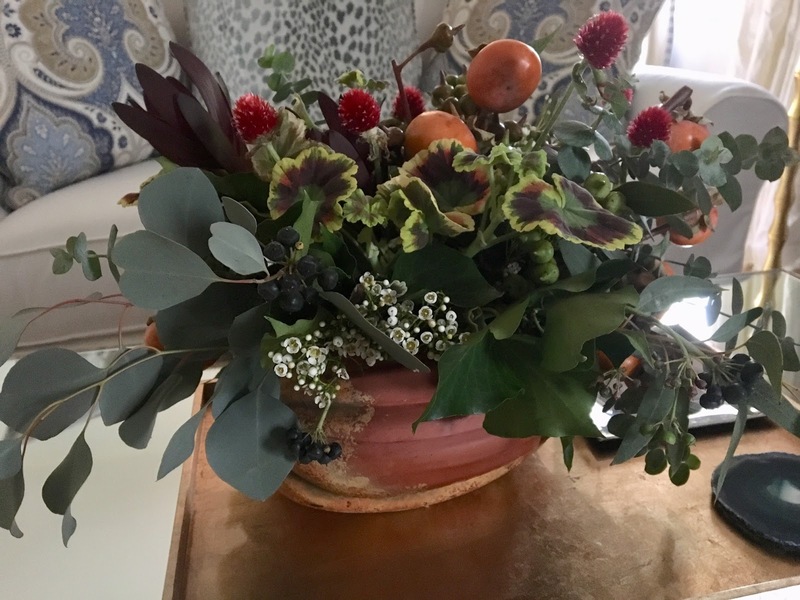 No soiree at the Acorn Cottage would be complete without a couple of arrangements from Mitch's Flowers on Magazine Street. 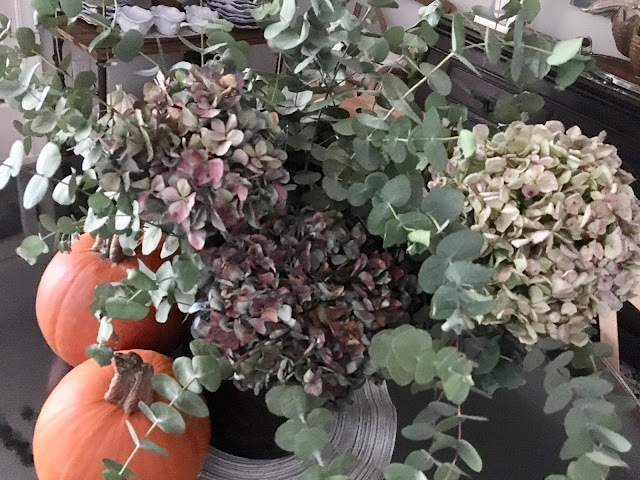 For the living coffee table, my pumpkin dish was used and filled with autumnal blooms of hydrangeas, okra, and even persimmon branches. 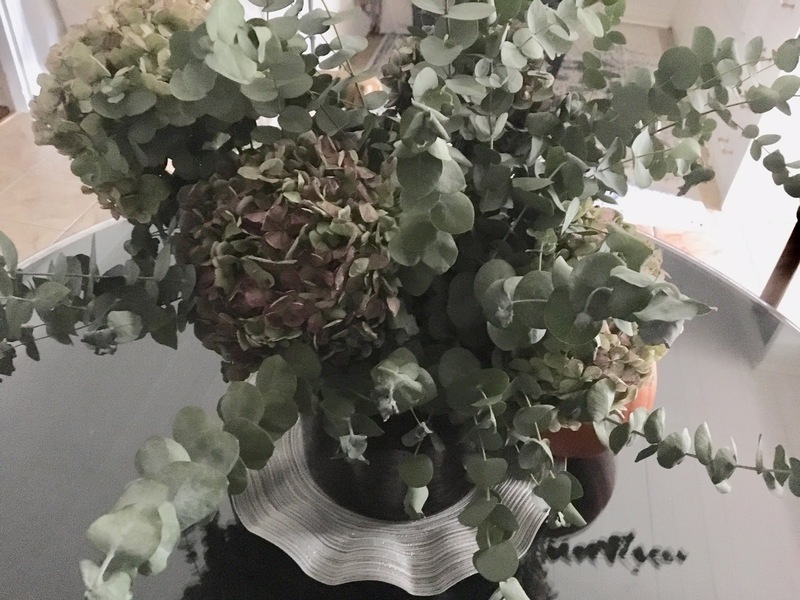 I also love the scented geranium leaves. The dining room tortoise-shell vase was filled with antique-hued hydrangeas and eucalyptus which will dry do well. 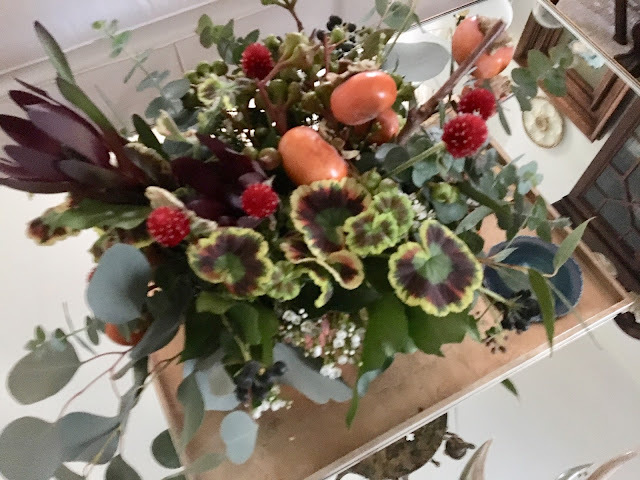 Thanks to my friends at Mitch's Flowers for a couple of beautiful autumnal arrangements. 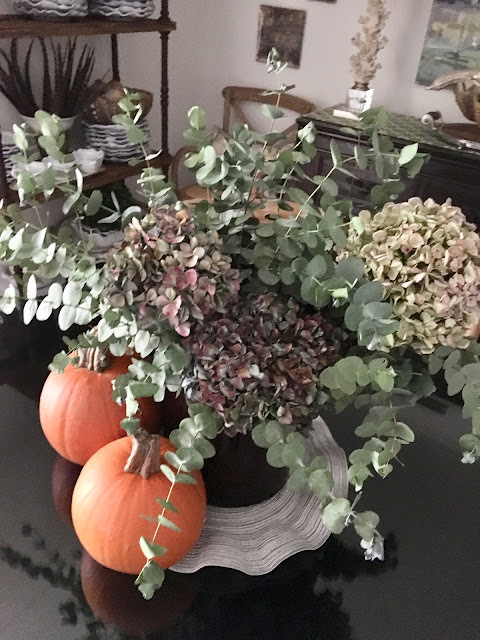 Love that coffee table arrangement with the okra and persimmon - unique!